Catawba Rhododendron is a dense, flowering shrub that grows to approximately 6 to 10 feet in height. It features a large, funnel-shaped flower that is often either pink or violet and elliptical-shaped green leaves. The best time for viewing blooms is typically late spring. 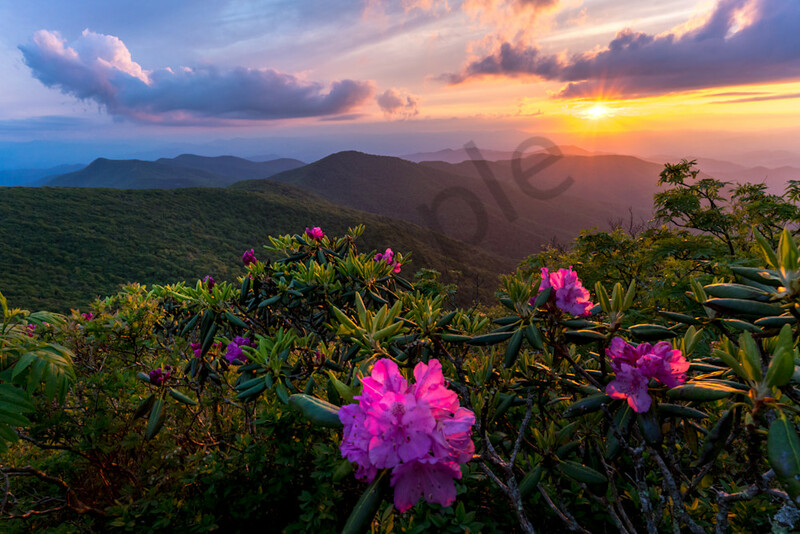 Photographs of the Rhododendrons in the mountains make for amazing fine art. Take a ride on the Blue Ridge Parkway in late spring and you will see why so many others come to photograph the blooms once it starts warming up. Step out of the car to smell the fragrant flowers and breathe in the cool crisp mountain air. From Virginia, North Carolina, and South Carolina the mountains come alive with plants and wildlife.